TV with Thinus: Premier Soccer League boss Irvin Khoza slams South Africa's broadcaster regulator; warns that Icasa's dumb and destructive sports rights regulations will destroy and dump SA sports back in the 1980's. Premier Soccer League boss Irvin Khoza slams South Africa's broadcaster regulator; warns that Icasa's dumb and destructive sports rights regulations will destroy and dump SA sports back in the 1980's. South Africa's Premier Soccer League (PSL) and its boss Irvin Khoza on Tuesday slammed South Africa's broadcasting regulator, Icasa, over its foolish, dangerous and destructive draft regulations to reorganise TV sports contents rights in the country, warning that Icasa's damaging regulations plan threatens to derail, destroy and collapse soccer and other sports in South Africa and will dump the country's sports back in the 1980's. The shocking and daft draft regulations (published here) and proposed by the Independent Communications Authority of South Africa (Icasa) will inflict serious harm on sports, sports bodies and sports broadcasting in South Africa in totality. The uninformed and shocking impact will destroy sports broadcasting in South Africa that will devolve into a downward spiral of mediocrity, and gut different sporting codes heavily dependent on the influx of money and the sponsorships funneled to sport groups because of televised licensing rights. Sports bodies, like for instance soccer and rugby, managed by groups like the Premier Soccer League and Rugby South Africa, will no longer be able to decide for themselves who to awards TV sports rights to - usually the highest available bidder, for instance SuperSport - with a lot of that money channeled back into paying players, upliftment and development, maintaining championship standards and organising. While pay-TV sports broadcasters like MultiChoice, SuperSport, FOX Sports and China's StarTimes and StarSat and their pay-TV viewers will directly suffer due to curtailed sports content, free-to-air broadcasters like the SABC and e.tv offered rights won't be necessarily able to afford it or willing to pay for it. The forcing of free rights given to free-to-air channels will also mean no money for sports bodies, and no incentive for pay-TV broadcasters to show the content viewers can watch anywhere. Forced to give rights - in some cases for free and rights holders in some cases banned from signing with their own-choice preferred bidder - Icasa's foolhardy plan to force more sports to a free-to-air system, will mean less money for sports bodies. That in turn will lead to a lowering of standards, sports bodies unable to afford top talent, and an overall steady decline of not just televised sports but the actual quality of matches. After an initial February deadline, Icasa has now pushed the deadline for public comment on its controversial Draft Sports Broadcasting Services Amendment Regulations from 4 February to mid-March. On Tuesday after an extraordinary board of governors meeting in Johannesburg by the PSL, PSL chairman Irvin Khoza in a scathing rebuke, slammed Icasa for its alleged failure to consult with the TV industry, sports broadcasters and sports bodies, and warning that Icasa could collapse soccer and sport in South Africa with its regulations. 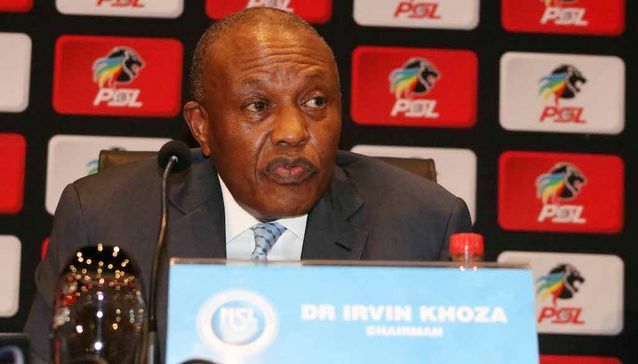 Irvin Khoza said Icasa's sports rights regulations will cripple the PSL that would lose 80% of its annual revenue and implode the football organisation and its member clubs desperately dependent on the income derived from sports rights deals. "Icasa wants to do this after the hard work we have put in. Players would not be getting paid as much if it wasn't for our current funding model. The current broadcast deal took work and time," said Irvin Khoza. "We did not break the law. Everything we did was within the framework. We did the work necessary. The broadcast deal [with SuperSport] has had an enormous impact on the state of South African football. Without it, the PSL dies," Irvin Khoza warned. "Without adequate funding, this industry as we know it will collapse and will be back to what it was back in the 1980's. Clubs will cut support staff to the bone and our grant of R11 million to South African Football Association (Safa) will no longer be available." "I hope this is an error from Icasa. It is also a form of exclusion. They did not consult or try to understand our industry," said Irvin Khoza. "We will defend ourselves rigorously. We will exhaust all options available to us. If this is not resolved, we will shut down the PSL."